On the first impression, Lawrenny Estate definitely exudes a country mansion charm that leads to the assumption that it is a private residence of a wealthy and established dynasty, or perhaps a super snazzy bed and breakfast. In actual fact, this Garden of Eden produces some of Tasmania’s finest produce. In between rearing prized Black Angus cattle and nurturing stunningly picturesque garden landscapes, the Mace family, who acquired Lawrenny Estate in 1991, have established a distillery that is producing some incredibly fine quality gin and vodka that capture the very essence of the botanicals used in their creation. 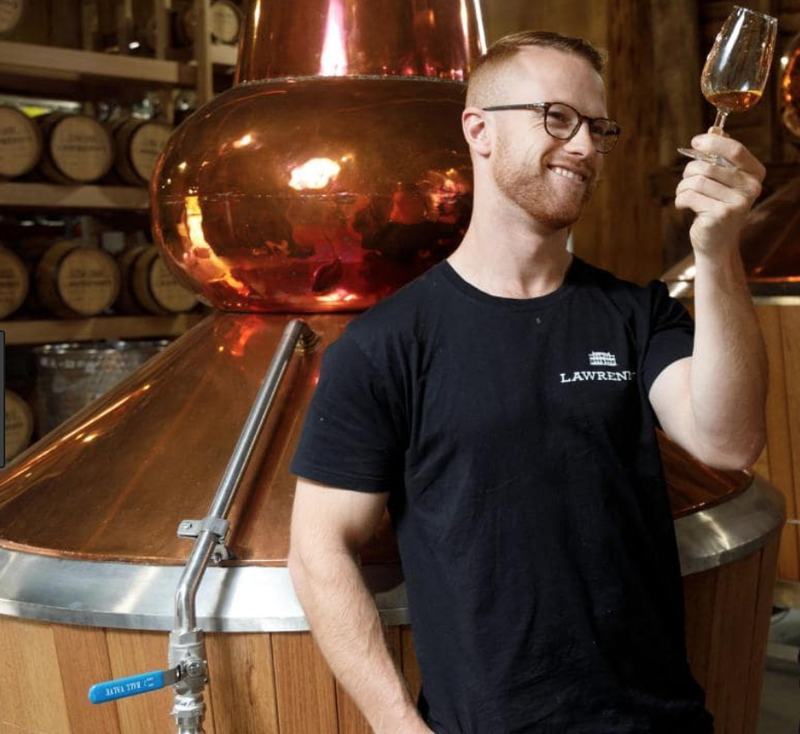 In 2017, Lawrenny Estate engaged Joe Dinsmoor as Head Distiller for what was to be an incredibly ambitious dream - to produce distilled spirits from products and botanicals sourced solely from the grounds of the estate itself. With a few seriously impressive notches on his belt, Joe was ready to embrace the challenge when he moved back to his native Tasmania after tearing up the hospitality industry in Sydney with his formidable talent. From the copper still to the backyard botanicals, Lawrenny Estate spirits have become synonymous with superior quality that beautifully captures the characteristics and unique influences of its pristine location. Their juniper driven Van Diemans Gin harnesses the purity so resonant with Tasmania thanks to its crisp herbal notes and citrus tones, while their distillery strength 1818 Settlers Gin is for all the cocktail connoisseur’s out there. Balancing out the refined nature of the gin portfolio is the Saint Clair Vodka which is more of a walk on the wild side. As for the whisky…well, you might have to wait a few years for those barrels to mature but you can be sure we’ll let you know. In the meantime, stay tuned for more on the gins and vodka which we will are very excited to soon be adding to our shop in the coming weeks.